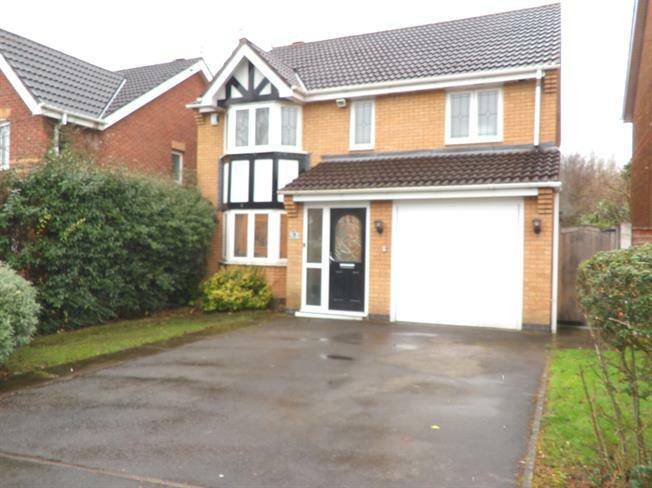 4 Bedroom Detached House For Sale in Manchester for Asking Price £335,000. A four bedroom detached property presented to a high standard by the current house proud owners. In move in condition, this fabulous family home was renovated in 2016 including a new kitchen, new bathroom, re plastered and solid wood flooring to the lounge/dining and hall amongst other improvements. The property briefly comprises: porch, entrance hallway, lounge/dining room, kitchen/breakfast and utility room. To the first floor, there is the family bathroom and four good sized bedrooms one with en suite with under floor heating. To the rear, there is a fantastic lawned garden providing the perfect place to entertain family and friends. With off road parking and an integral garage, this superb family home is perfect for a growing family. A four bedroom detached home with garage.